Finally the Chrome web apps almost make sense: initially the Chrome web apps were just a normal pinned tab with a bigger favicon but now the Omnibar together with the menu and the bookmarks bar has been removed so you have a lot more vertical space for a web app tab than for a normal Chrome tab. This change comes in the latest build from the Chromium daily PPA (but it's probably in the latest Google Chrome dev channel too). Note that the Omnibar / bookmarks toolbar has only been remove for the web apps tabs, the rest of the tabs still have everything in place. But the major feature for Chrome web apps has yet to come: built-in notifications. 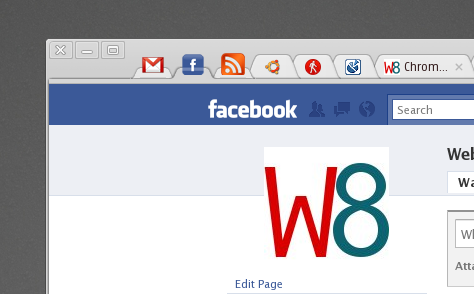 See how to use Chrome web apps for Google Chrome / Chromium.